Welcome home to Cedar Grove! 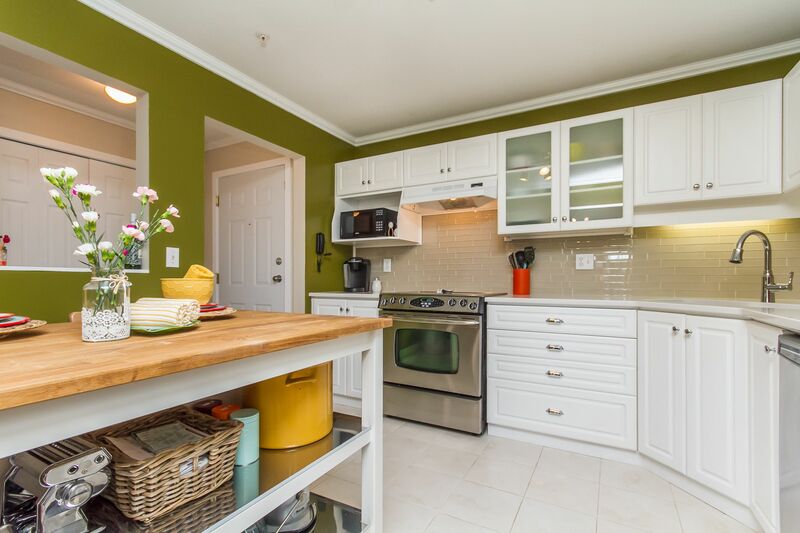 This gorgeous fully renovated unit is waiting for you! This 2 Bedroom, 2 Bathroom home boasts a spacious 1000+sqft floorplan! This unit has been freshly painted throughout, and has new baseboards and crown molding. In the kitchen you will find new quartz counter tops, glass mosaic back splash and new appliances! New flooring throughout the home. All this PLUS a brand new washer/dryer in the laundry room! There is a gas fireplace to heat your home! Great building with a well run strata. Only minutes to HWY 1 and close to everything Abbotsford offers!! This unit will not last long.. call today for your private viewing!